Communication is a two-way street. It requires active listening and good feedback. And don’t forget about body language. Everything we do in the business world revolves around communication, whether written, verbal, or non-verbal. 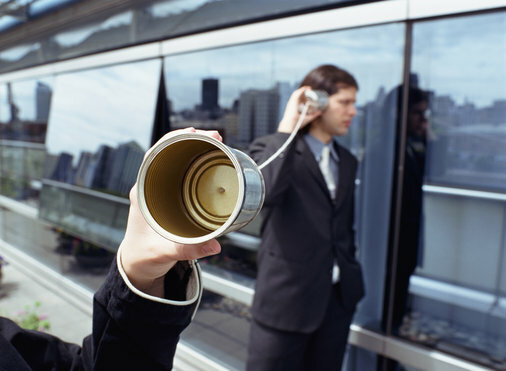 Communication is an important tool in the workplace as it can either help or hinder collaboration and productivity. Without clear, concise communication, it is harder for everyone to do their jobs. While it may seem easy, effective office communication can take a bit of work. In order to improve office communication, there are a few steps you must first take. As human beings, we are creatures of emotion. However, we must not let that emotion control our behavior and our communication in the workplace. In order to maintain a sense of professionalism, it is important to check your emotions at the door. If you start to get emotional during a heated debate or in the middle of a meeting, take a deep breath and count to 10. Then, respond in a calm, cool, and collected manner. In today’s increasingly technologically driven business world, workers often rely on email, instant messaging, and the like to communicate with customers, clients, and even coworkers. What happened to good old fashioned face-to-face communication? Technology is a wonderful tool for improving speed, but it can be detrimental in the development of personal relationships. Instead, get up, walk down the hall, and try to have a meaningful face-to-face conversation with a coworker. Active Listening: Being an effective communicator means listening as well as talking. Instead of daydreaming about your lunch or trying to decide what to watch tonight on TV, listen to what your coworker has to say. Really listen. A handy trick to help you actively listen is to pretend that there will be a test at the end of the conversation and keep mental notes of all the important points the other person makes. Positive Feedback: At the end of a conversation, provide good, positive feedback. This not only shows that you were actively listening, but can also help boost morale. Just remember to keep it positive. Every moment is a teachable moment and even criticism should be given in a positive way to ensure it is received properly. Body Language: They say that 80% of communication is body language. How you hold yourself says a lot about how you feel about the subject matter. Body language can be a very powerful tool. Open and honest communication requires trust. Unfortunately, trust is not something that is easily gained in the confines of an office. To build trust amongst your employees you will need to head out of the office. Conveniently located in Howard County, Maryland, between Baltimore and Washington DC, Terrapin Adventures is able to create a customized program (onsite or offsite, indoor or outdoor) that knock down communication barriers, building trust and allowing your staff to work efficiently and cohesively as a productive unit. This entry was posted on Friday, October 2nd, 2015 at 10:51 am. Both comments and pings are currently closed.